David Garafalo, owner of Two Guys Smoke Shop in New Hampshire, recently posted an interesting editorial entitled “Here Come the Copy Cats.” He writes about the longstanding practice in the cigar industry of copying the successful innovations of others. The case Garafalo lays out is indisputably true. 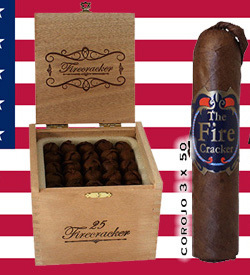 If you create something successful in the cigar industry, someone else will come along and knock it off. Whether it is the marketing of a certain production technique (barrel-aging tobacco), the use of a certain tobacco in a blend (double Ligero or double Corojo), or a cigar shape (the fuse-style cap), if it helps sell cigars you can expect others to come along and copy it. Garafalo, a brand owner and seller of cigars, is understandably frustrated by this. He correctly points out that when it comes to trademarks, people are often over-litigious and in such trademark disputes often deeper pockets will prevail, regardless of merit. Still, I want to push back against the idea that the copycat nature of the cigar industry is a bad thing. Of course a cigar brand owner doesn’t like that his innovation will get copied by the less original, but overall I think it is a good thing for cigar consumers. What is so great about the non-Cuban cigar industry is the competition. (Cuban cigar brands are centrally controlled, which is why you don’t see nearly as much innovation there, and why there is no true boutique Cuban cigar.) When one cigar company comes out with a new hit cigar, other companies soon follow with their own version of what they think makes that cigar a hit. If barrel-aged tobacco sells a lot of cigars for Camacho, expect more companies to be experimenting with barrel-aged tobacco. For consumers, this is a great thing. If Camacho does it the best, their cigars will sell the best. But if next year Altadis or someone else comes out with an even better cigar highlighting its use of barrel-aged tobacco, then consumers will have another excellent cigar to buy. Quality and value will drive out those that can’t compete on either. If a copycat can create the same experience at a lower price, cigar smokers should be thankful. The alternative, which Garafalo seems to concede is just not feasible, would be a legal prohibition to the free market forces that give consumers maximum choice. Should the Opus X be the only cigar with a Dominican wrapper because Fuente was the first to successfully grow and market a Domincan wrapper? Should Joya de Nicaragua be the only producers of Nicaraguan puros because they did it first? Of course not. Even though it would be a benefit to the innovators, it would stifle consumer choice and all the innovations that follow. This is true of any competitive industry. Sam Adams and Sierra Nevada may have been among the first to realize American consumers would pay a premium for flavorful beer. Think of the loss to the beer-drinking world had others not been allowed to follow. The same could be said of cellphones. Think of the loss if Apple and Android hadn’t been allowed to improve upon Blackberry’s innovations. We should be thankful cigar innovations are, except for a few small exceptions, not subject to patent laws preventing competitors from building on the innovations of others. Trademarks do prevent consumers from being confused about brand names, but they don’t stop competitors from creating a cigar that tastes similar or looks similar to a highly sought-after cigar. This competition (and, yes, even copycat behavior) is an unmitigated win for consumers who get more variety at a better price than would ever be possible if such activity were prevented. We should be thankful for it, and we should fight efforts by the FDA and others to stifle such competition and innovation. Interesting discussion. Brought to mind another question…as to what some of the novelty or innovation that has sparked these copycats in recent years. You mention the fuse/fireworks (taken to an extreme with nunchucks I believe…barrel aging, but also chisel tip, pipe tobacco inclusion, and candela resurgence. Would be interesting to discuss what other copy cat worthy introduction groups there are. You know, it’s funny. The first thing I thought when I read Garofalo’s piece was that he was copying Lew Rothman’s letters in his JR catalogs from years ago. Isn’t this article simply a regurgitation of an original? Also I have read ALL of the JR messages by Lou and fail to see how DG’s article is in any way an example of “copy catting”…The chicken doesn’t always come first folks! “As much people try to ignore Cuba in this business, they are the wheel and for me there’s no sense trying to recreate the wheel, I just want to copy better than everybody else.” — Pete Johnson. Charlie- An excellent quote to bring up. one of the biggest compliments you can pay a new cigar is calling it Cubanesque. 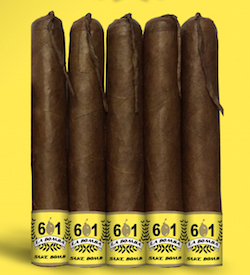 Much of the last half century of cigars in the American market has been attempts to copycat the best of what that island south of Miami has to offer.